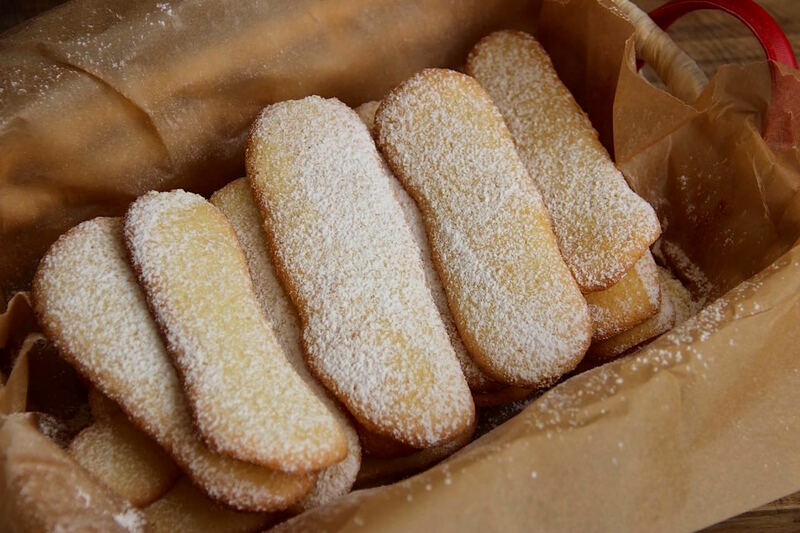 Canestrelli are traditional old-fashioned Italian shortbread cookies from Piedmont and Liguria regions (Italy). 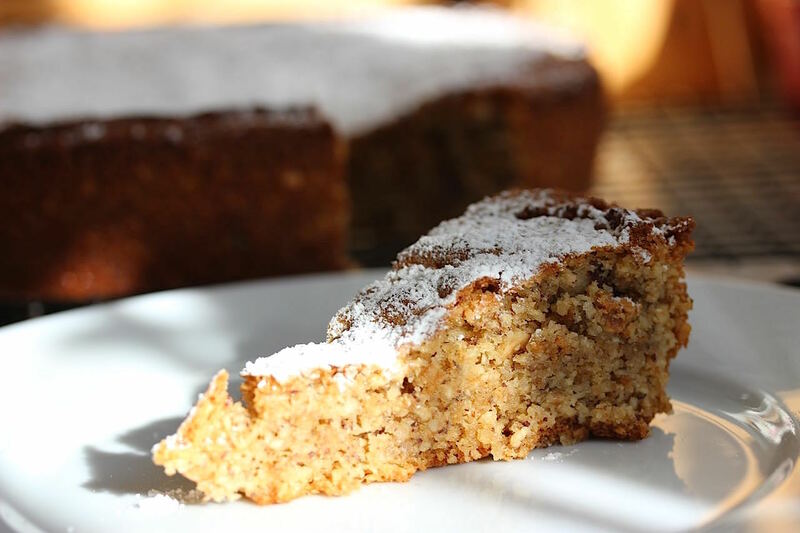 They come flower-shaped and covered with plenty of confectioners’ sugar. The secret for baking authentic Canestrelli is to hard boil the egg yolks. I gave to the traditional recipe a chocolatey twist adding mini-chocolate chips to the cookie dough. Enjoy these melt-in-your-mouth cookies with a cup of hot tea or a glass of warm milk. They can last up to 10 days if stored properly in an airtight container or in a cookie tin. A great Holiday gift to share with your loved ones. As always Homemade & Delicious!!! Cook Time : 10 mins. – Sift together 00 flour, potato starch and vanilla baking powder. 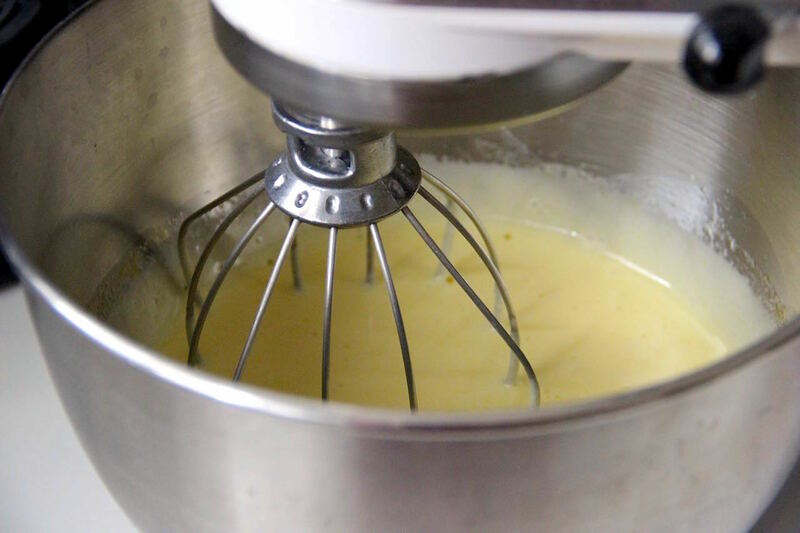 – Press the egg yolks through a mesh strainer then add them to the flour mixture. Set aside. – Cream the butter and powdered sugar on a mixing bowl. Add the vanilla extract. Slowly add the flour mixture until a sandy dough forms. – Gently add the chocolate chips kneading with the hands and shape into a big ball. – Cover the mixing bowl with plastic wrap and let rest in the fridge for 30 minutes. – Preheat oven at 325 F degrees. – Move the dough over a work surface. Roll the dough 3/8 inch thick and cut out with a flower-shaped cookie cutter, make a little hole in the middle with the back of a pastry bag tip. – Place the cookies onto a cookie pan lined with parchment paper, two inches apart. – Bake for 10 minutes (they should be pale, not golden). – Allow to cool on their pan for a couple of minutes then move on a wire rack. 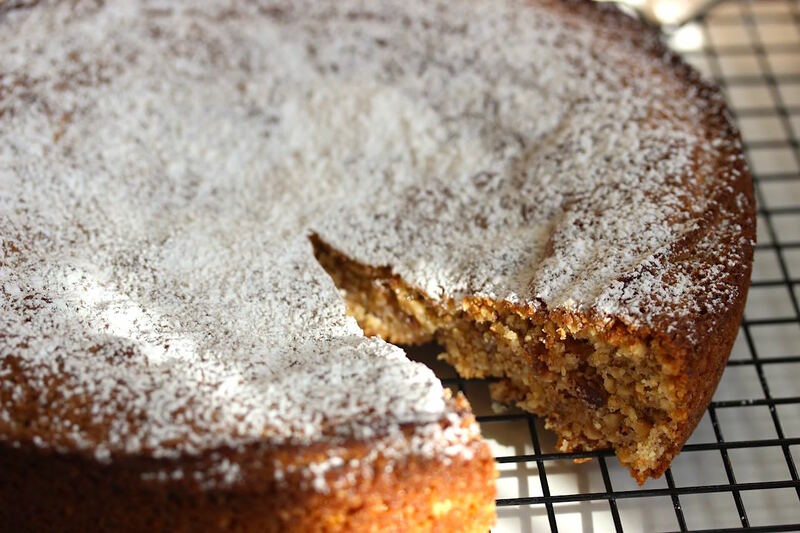 – Cool completely before dusting with powdered sugar. Biscottini di Novara are lightweight cookies from the beautiful ancient city of Novara (Piedmont, Italy).They have an airy and crumbly texture, a rectangular shape with rounded corners and a golden color. The only three ingredients used to prepare these delicious cookies are : wheat flour, sugar and eggs. Biscottini di Novara are extremely light and easy to digest because there are no fats added into this recipe. Extraordinary for dunking in milk, tea or cappuccino. The original Biscottini di Novara are produced by Biscottificio Camporelli since 1852. In 1852 Luigi Camporelli started the production of these biscuits in vicolo Monte Ariolo 3, right in the center of Novara, using exclusively three ingredients: flour, sugar and eggs. 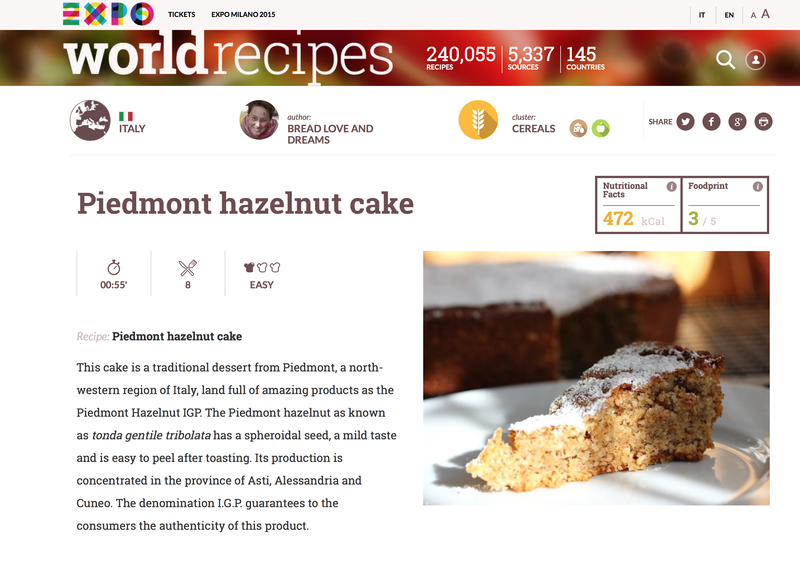 This recipe was born in the seventeenth century through the work of the nuns of the urban convents who offered these cookies to the bishops and other clergy. 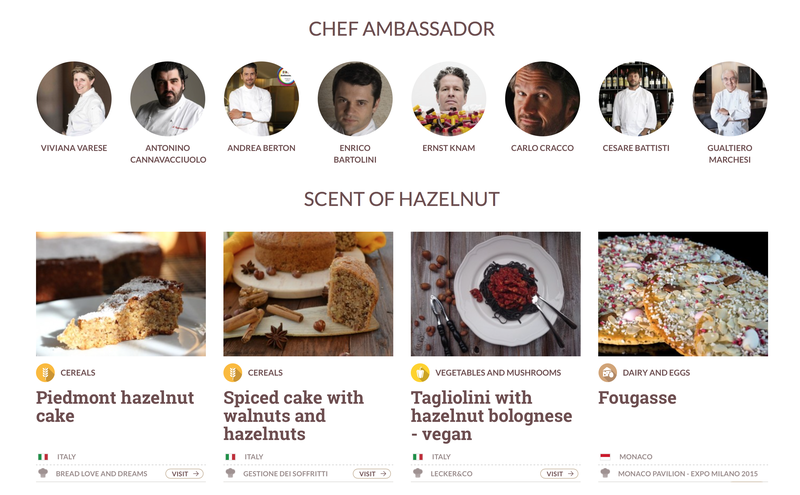 Luigi Camporelli launched this activity that gained success around Novara and in other parts of the Italian kingdom. In the following years he was succeeded by his son Giacomo, and then his niece Carla. In 1932 his cousin Carlo Fasola, accountant officer of Banca Popolare di Novara, acquired the laboratory run by Carla Camporelli. In the early fifties his son Giovanni and his wife Carla assisted his father in the management of the family business. Currently the biscuit factory is run by Giovanni’s son, Ambrogio, under whom they work fifteen employees. 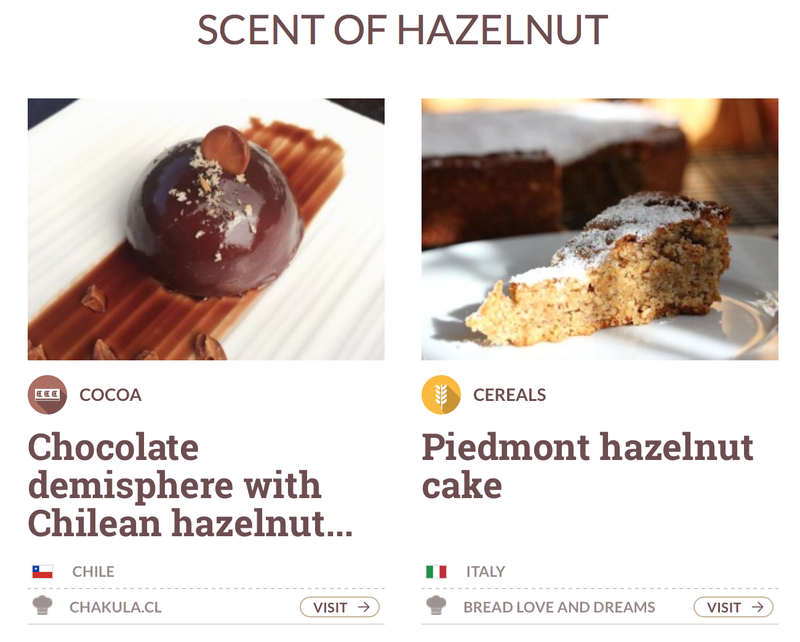 The production is distributed in specialty stores mainly in Northern Italy. COOK TIME : 5 MIN. – Preheat the oven at 350 F degrees (180 C degrees ). 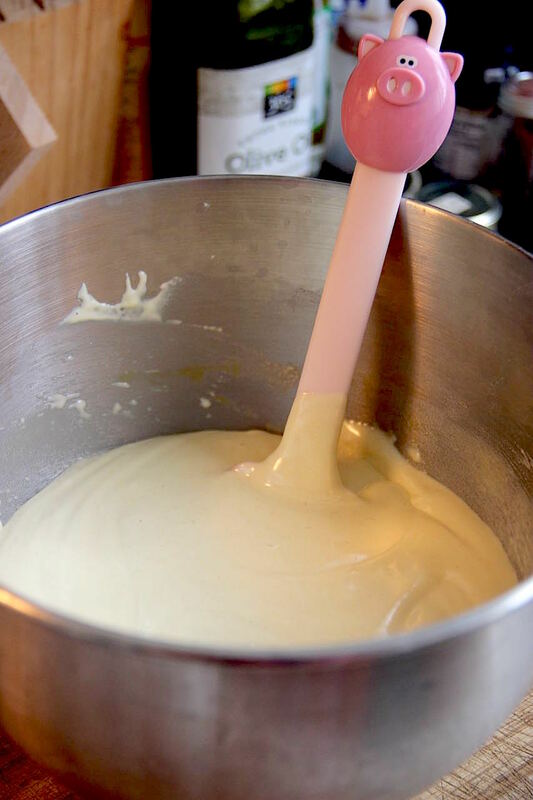 – With a hand or stand mixer, beat eggs and sugar at medium speed until smooth and creamy. – Reduce the speed, then add the flour little by little until incorporated. 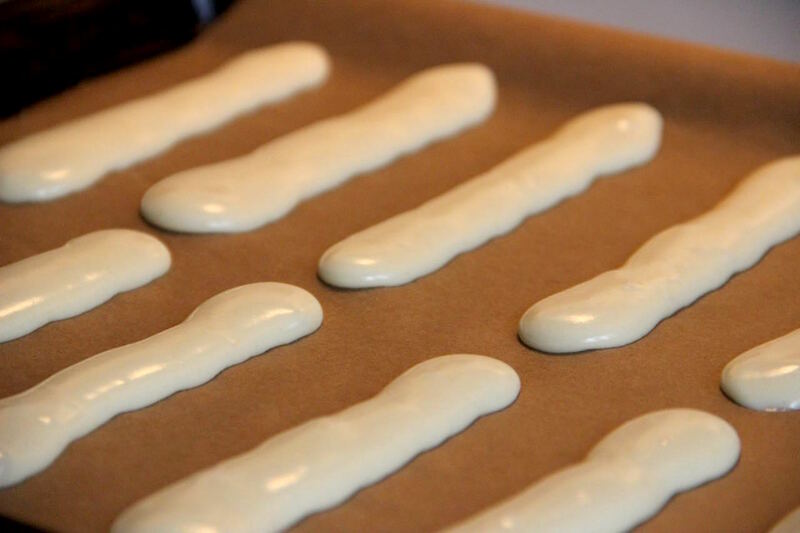 – Place the cookie batter into a piping bag without tip. – Pipe the batter over a cookie sheet covered with parchment paper, shape into sticks 3 inches long (8 cm) keeping them two inches apart. – Let the batter rest for 10 minutes, then sprinkle with granulated sugar. – Bake for 5 minutes or until slightly golden. – Allow to cool completely before serving. – If desired, dust with powdered sugar. 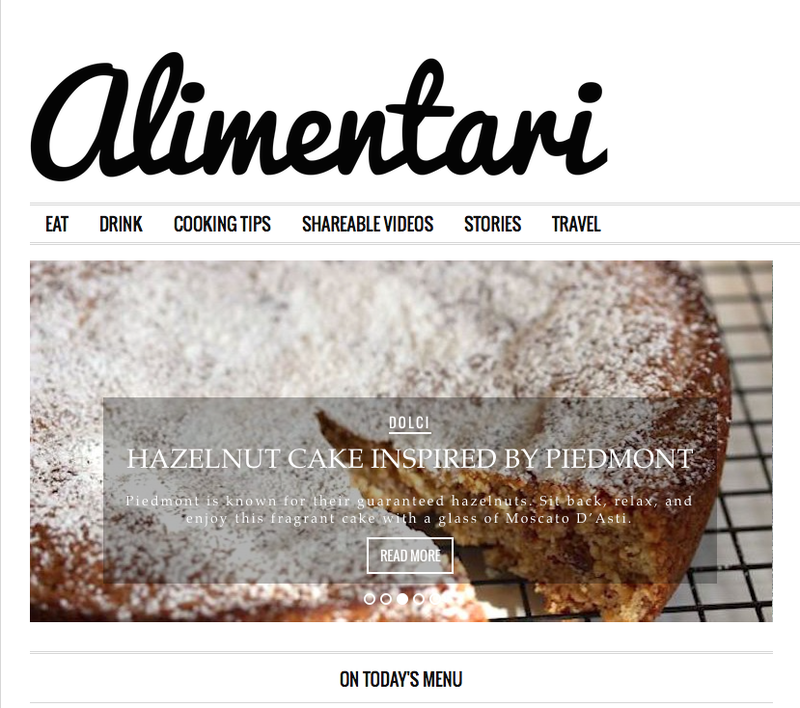 Let’s start the 2015 with a great news…I’m an official and proud contributor for the new online magazine Alimentari. 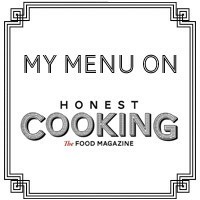 Brought to you by the team behind the award winning Honest Cooking Magazine, Alimentari is the Italian food, drink and travel magazine for the modern foodie. 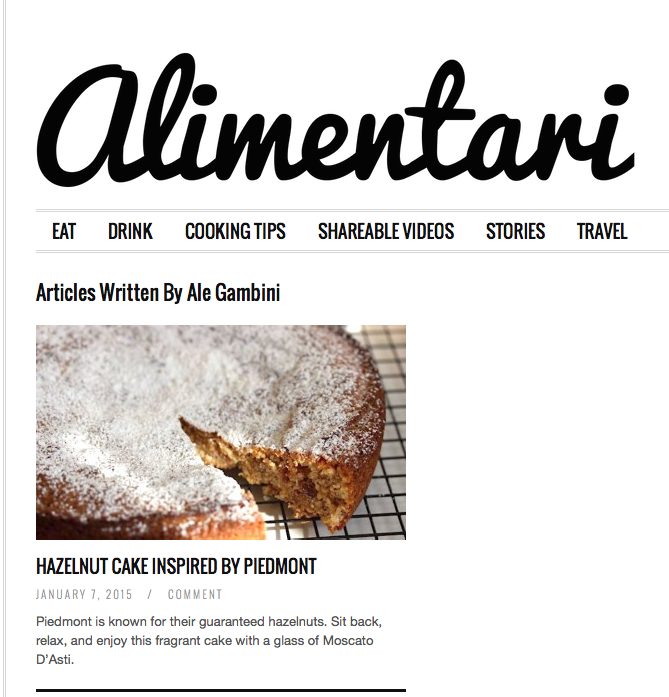 Inspired by both the classic culture surrounding Italian lifestyle, food and drink, as well as contemporary Italian gastronomy – Alimentari will be the most inspiring digital magazine for anything connected to the most influential and diverse culinary culture in the world.